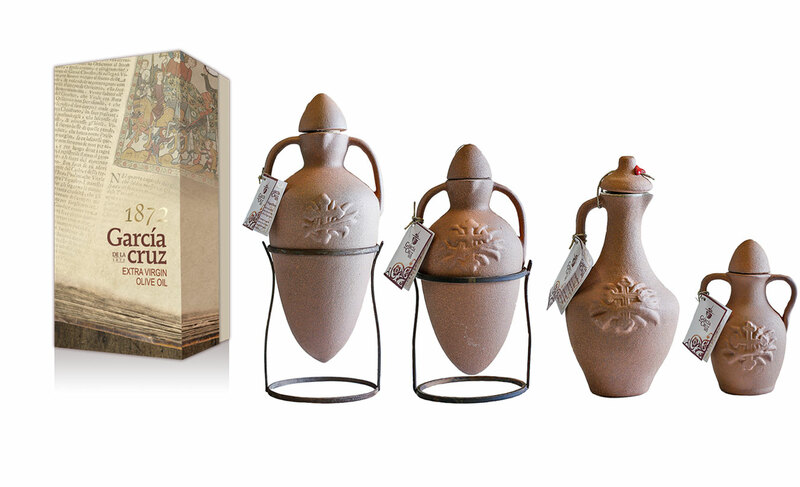 The amphora is Garcia de la Cruz’s most emblematic product. A tribute to the ancient trading of the olive oil. A flashback to its origins. 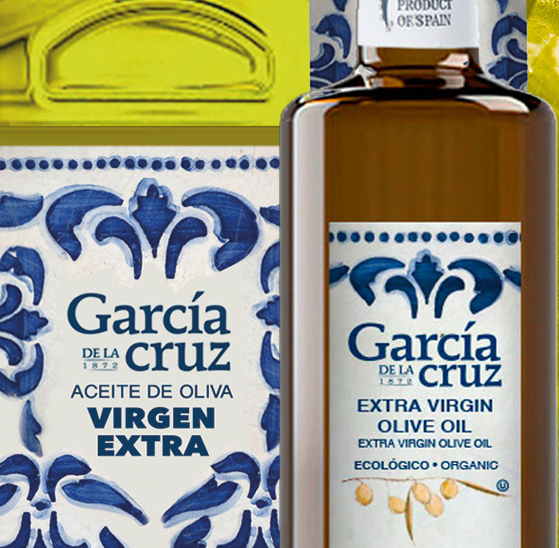 A unique packaging in the market, completely handcrafted, that could only be compared to the most emblematic oil for Garcia de la Cruz: the 5 Generations. 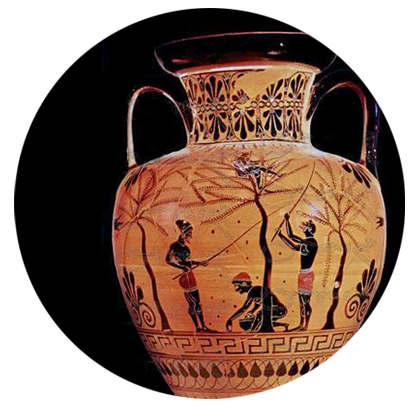 A tribute to the ways of trading and shipping olive oil in antiquity. A return to its origins. 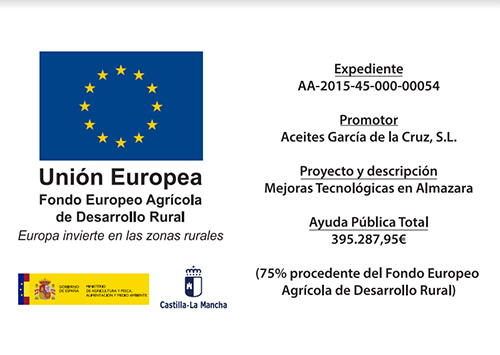 To achieve this we have selected Cornicabra olives grown in a special natural area in the mountains of Toledo known as el cuerno (the horn), where the climate conditions make for unique characteristics in the olives. 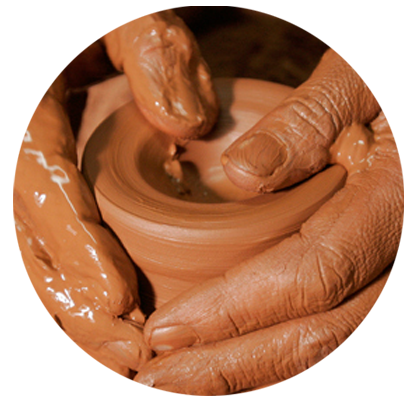 This exclusive handmade ceramic container has a porcelain lining that maintains intact all the properties of the oil. An icon of Olive Oil in the ancient world, the amphoras are the best emblem of that liquid gold of the Mediterranean. In them, olive oil with all its benefits was shipped to every corner of the known world. Its characteristic shape was designed to speed up their transportation: the handles facilitated the work of loading and unloading and their conical base served to stand them easily in the sand and to stow them in ships’ holds. The packaging we present is unique in the market. 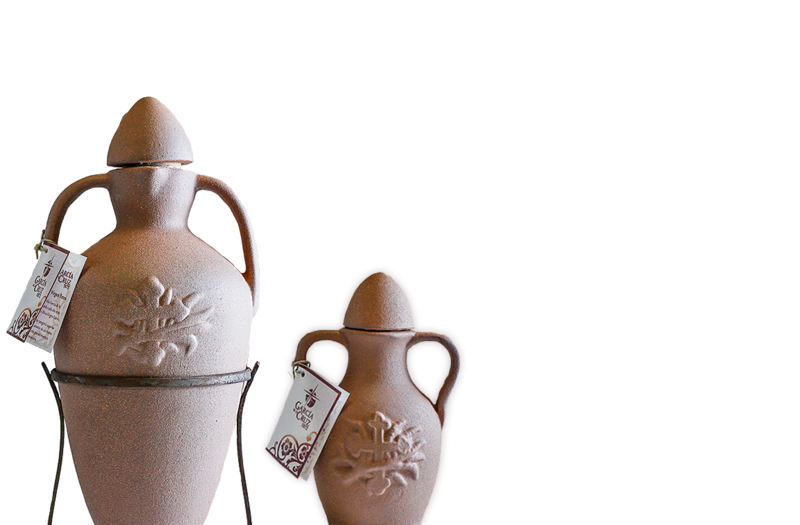 A hand-crafted ceramic amphora, 5 mm thick with a porcelain inside-coating that protects the olive oil against light, oxidation and temperature changes, and keeps intact all the properties of the oil. This olive oil is made from a careful selection of olives picked at optimum ripeness and pressed into extra virgin olive oil within five hours of harvesting. The olives come from centuries-old olive groves, which have produced superior quality olive oils since the 16th century, with only natural products used in their care. It is oil that provides numerous health benefits while respecting the environment. 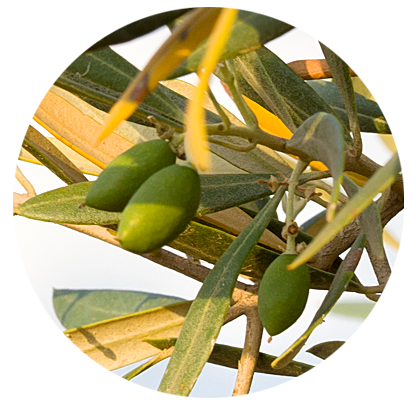 The end product is an all-natural olive juice that preserves intact all its vitamins and organoleptic properties.